Focus MRP has finite and infinite planning capabilities to assist complex manufacturing processes achieve efficiency with greater degree of compliance and customer satisfaction. Be it a single or multiple location plant, this integrated scalable solution is a boon for process manufacturers. 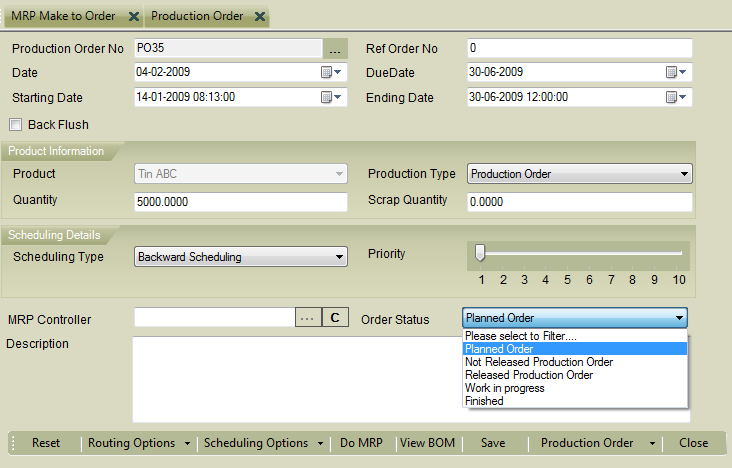 Some of the modules include: Production Master Data, Material Requirement Planning, Shop Floor Management, Shift Management, Output Scheduling, Auto-Procurement Indents and Process Based Reporting.